Special pricing for OEM applications. LASER BEAM / X-RAY SAFETY (INTERLOCK) SHUTTERS. SHUTTERS BLOCK THE BEAM WHEN THERE IS NO POWER. SH-10 - When power is turned off the blade or mirror of the safety shutter block the laser beam. SH-10-DM - When power is turned off the mirror for high power laser beam, epoxied on the blade of the safety shutter, deflects the laser beam. SH-10-BD - When power is turned off the mirror for high power laser beam, epoxied on the blade of the safety shutter, deflects the laser beam into the integrated beam dump. SH-10-PI - When power is turned off the safety shutter blade or mirror block the laser beam. Magnetic switches (sensors) indicate the position of the blade (open or closed). SH-10 shutter comes with two studs for mounting and allows horizontal and vertical mounting, 2 million cycles minimum. SH-10-L shutter comes with two studs for mounting and allows horizontal and vertical mounting, 50 million cycles min. SH-10-M shutter comes with a mounting plate and allows horizontal and vertical mounting, 2 million cycles minimum. SH-10-M-L shutter comes with a mounting plate and allows horizontal and vertical mounting, 50 million cycles minimum. SH-10-MP shutter allows horizontal and vertical mounting and can be mounted directly to an optical table, 2 million cycles minimum. SH-10-MP-L shutter allows horizontal and vertical mounting and can be mounted directly to an optical table, 50 million cycles minimum. SH-10-B shutter is boxed with a 0.42" dia through hole for laser light,allows horizontal and vertical mounting and can be mounted directly to an optical table, 2 million cycles minimum. SH-10-B-L shutter is boxed with a 0.42" dia through hole for laser light,allows horizontal and vertical mounting and can be mounted directly to an optical table, 50 million cycles minimum. The LOW COST SH-10 laser beam safety (interlock) shutter group of products is intended to protect the user of low power and moderate power laser beams from causing damage. 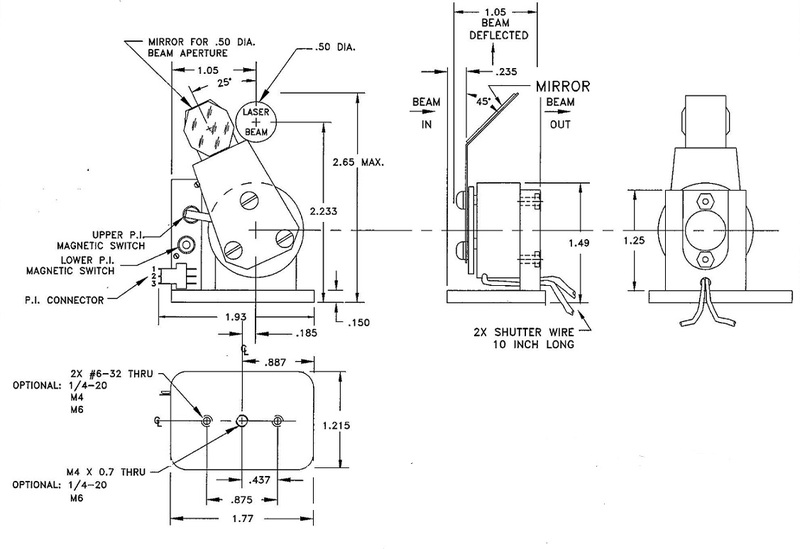 The shutter consists of a blade mounted on a rotary solenoid with a limited rotation angle. When the shutter is powered, the blade moves to the "ON" position and clears the path for the laser beam. 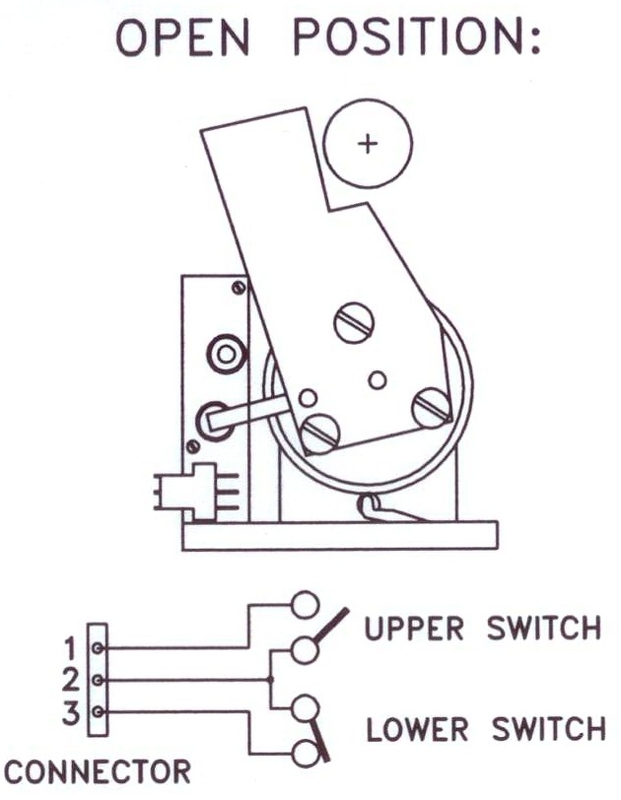 When NO CURRENT or when the power is turned off, the return spring of the shutter causes the blade to JUMP TO THE CLOSED (OFF) POSITION and block the laser beam. Aperture size is 0.5" (13mm) and 0.42" dia through hole for laser light for the box version. The standard blade material is 0.01" thick anodized aluminum. For other uses, like X-ray, we offer a veriety of blade materials and thickness as well as may different of mirrors to meet the laser specifications. Customers can olso provide their own material, mirrors or any other attaachments. The safety shutters have a life operation of 2 million cycles min. We also offer long life (-L) laser safety shutter for a life operation of 50 million cycles min. When ordering without a driver, please select one of the operating voltages: 5V, 12V or 15V, or 24V. 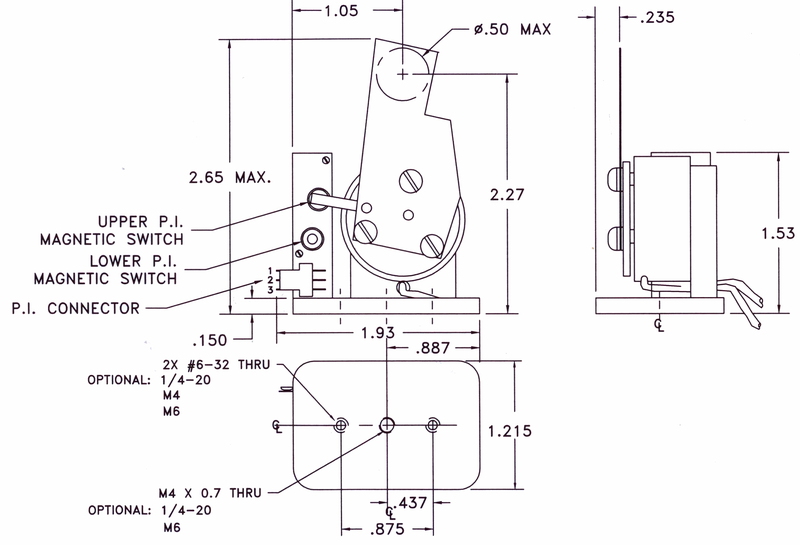 Click on CAD DRAWINGS to find more information about this device. SH-10-DM shutter with integrated mirror to deflect a laser beam. Shutter comes with two studs for mounting and allows horizontal and vertical mounting. Life operation of 2 million cycles min. SH-10-DM-L shutter with integrated mirror to deflect a laser beam. Shutter comes with two studs for mounting and allows horizontal and vertical mounting. Life operation of 50 million cycles min. SH-10-M-DM shutter with integrated mirror to deflect a laser beam. Shutter comes with a mounting plate and allows horizontal and vertical mounting. Life operation of 2 million cycles min. SH-10-M-DM-L shutter with integrated mirror to deflect a laser beam. Shutter comes with a mounting plate and allows horizontal and vertical mounting. Life operation of 50 million cycles min. SH-10-MP-DM shutter with integrated mirror to deflect a laser beam. 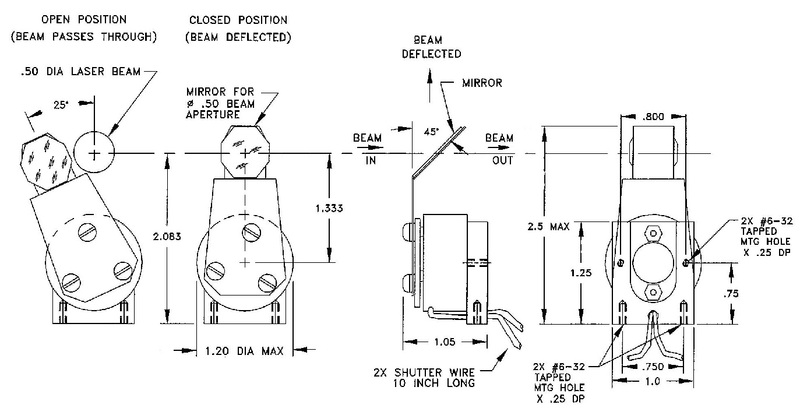 Shutter with integrated mirror to deflect a laser beam. Life operation of 2 million cycles min. 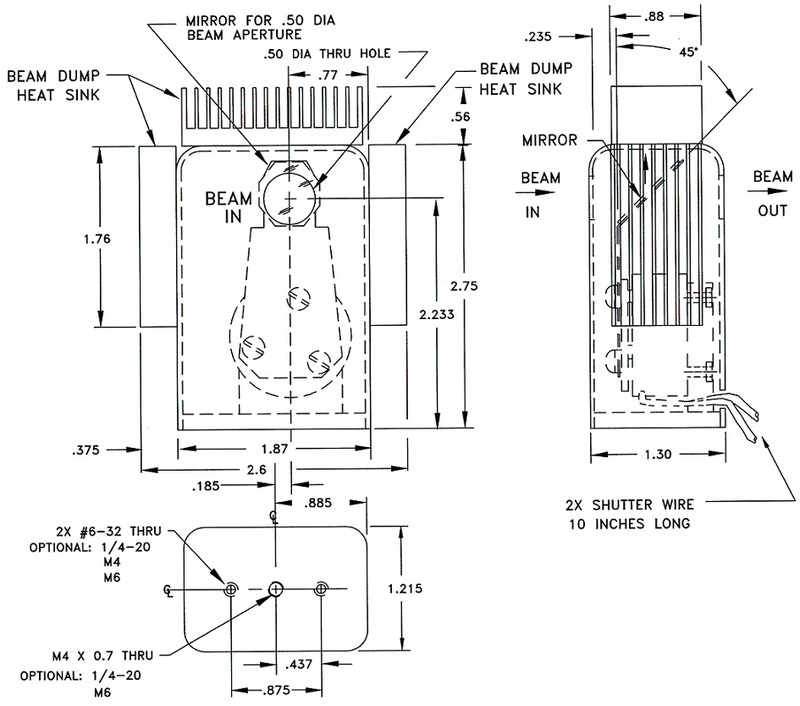 SH-10-MP-DM-L shutter with integrated mirror to deflect a laser beam. Shutter allows horizontal and vertical mounting and can be mounted directly to an optical table, Life operation of 50 million cycles min. SH-10-B-DM the boxed shutter with integrated mirror to deflect a laser beam allows horizontal and vertical mounting, Life operation of 2 million cycles min. SH-10-B-DM-L the boxed shutter with integrated mirror to deflect a laser beam allows horizontal and vertical mounting, Life operation of 50 million cycles min. SH-10-B-PI-DM the boxed shutter with integrated mirror to deflect a laser beam allows horizontal and vertical mounting. It incorporates magnetic sensors as position indicators to indicate the position of the blade, to verify the status of the shutter (open or close). Life operation of 2 million cycles min. SH-10-B-PI-DM-L the boxed shutter with integrated mirror to deflect a laser beam allows horizontal and vertical mounting. It incorporates magnetic sensors as position indicators to indicate the position of the blade, to verify the status of the shutter (open or close). Life operation of 50 million cycles min. PI= Position indicators, shutter has two position indicators to indicate the position of the blade - open or close. The SH-10-DM is a laser beam safety (interlock) shutter group of products that can be used with high laser power. It has a mirror mounted at a 45 degrees angle on its blade to deflect the incoming beam. The mirror coating is selected to match the size, wavelength and power of the laser beam (source). Customer can indicate the most suitable mirror coating for the application or supply the suitable mirror or other attachments. We offer the -DM version with the many different models of the SH-10 type laser safety shutters. 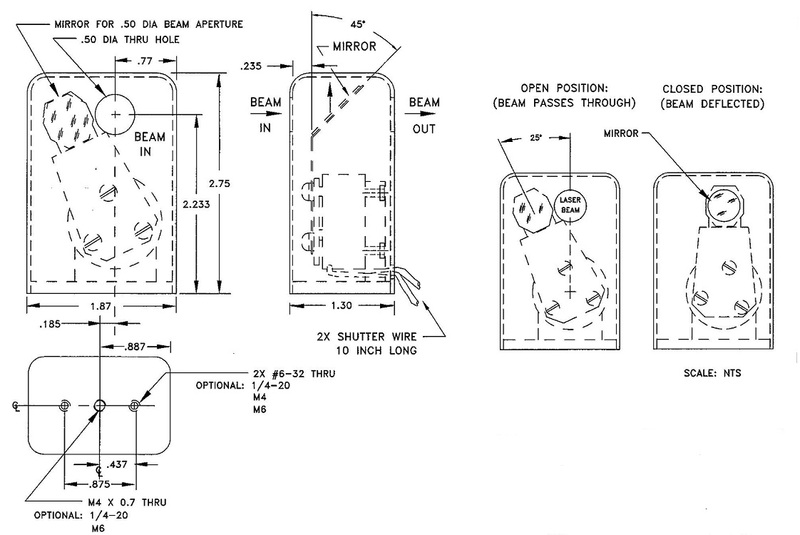 In the "ON" (open) position, when the power is connected to the solenoid, the mirror moves out of the laser path and the beam can freely move through the box. 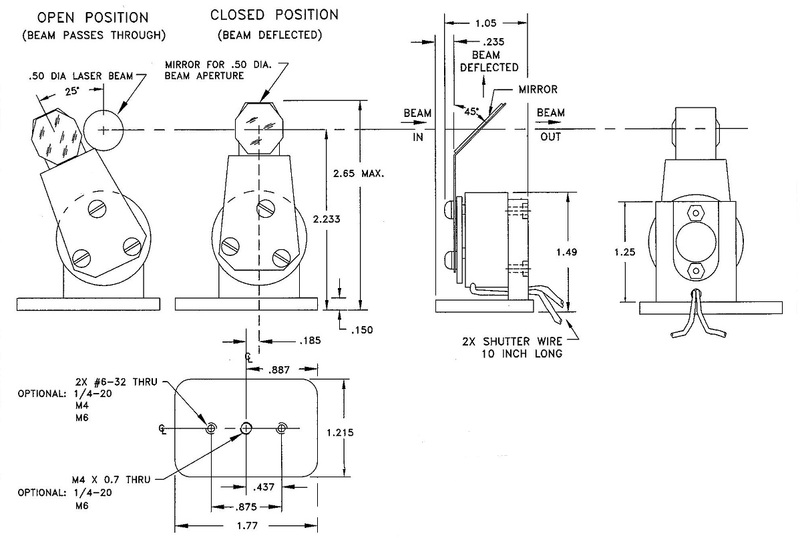 In the "OFF" (closed) position, when the shutter is not powered, the beam is deflected. Blocking a laser beam in open air environment increases the heat at the dump by 250 to 300 degree C above room temperature. The LOW COST SH-10-BD is a boxed laser beam safety (interlock) shutter group of products that can be used with high laser power. The sutters have an integrated laser mirror mounted at 45 degrees. In the "OFF" (closed) position of the shutter, when the shutter is not powered, the laser beam is deflected to the top of the box, to the integrated beam dump (heat sink). Blocking a 5 watts laser beam increases the heat at the dump by 25 degrees C above room temperature in open air environment. 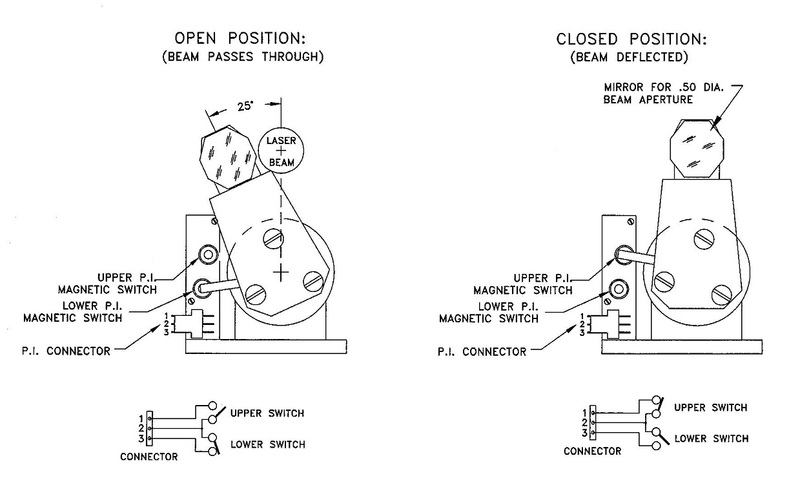 When the shutter is in the "ON" position, the power is connected to the shutter's solenoid, the deflecting moves out of the laser path and the laser can freely move through the box. The mirror coating is selected to match the laser wavelength, power of the beam and beam size. You can supply mirrors and other elements. *Special pricing for OEM applications. 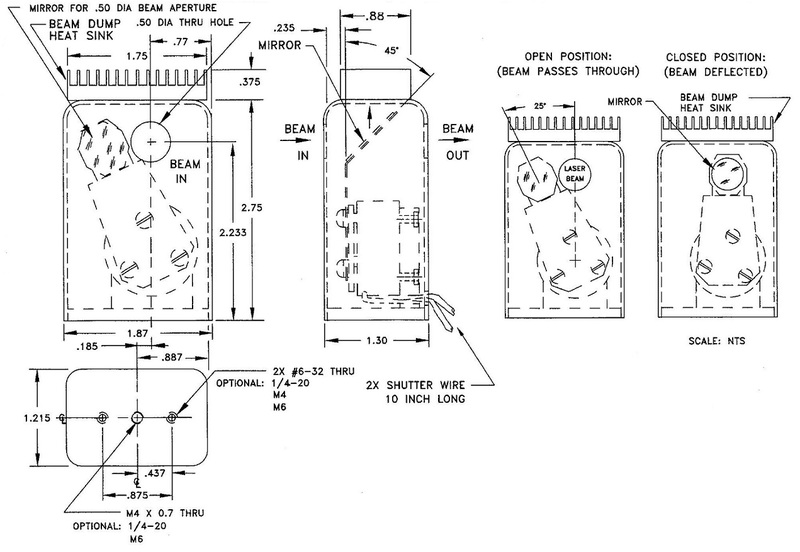 SH-10-PI-BD-5W a boxed shutter that has an integrated laser mirror, mounted at 45 degrees, that deflects the laser beam to an integrated beam dump. For power up to 5 watts. It incorporates magnetic sensors as position indicators to indicate the position of the blade, to verify the status of the shutter (open or close). Life operation of 2 million cycles min. SH-10-PI-BD-5W-L a boxed shutter that has an integrated laser mirror, mounted at 45 degrees, that deflects the laser beam to an integrated beam dump. For power up to 5 watts. It incorporates magnetic sensors as position indicators to indicate the position of the blade, to verify the status of the shutter (open or close). Life operation of 50 million cycles min. SH-10-PI-BD-10W-H a boxed shutter that has an integrated laser mirror, mounted at 45 degrees, that deflects the laser beam to an integrated beam dump. For power up to 10 watts. It incorporates magnetic sensors as position indicators to indicate the position of the blade, to verify the status of the shutter (open or close). Horizontal mounting. Life operation of 2 million cycles min. SH-10-PI-BD-10W-H-L a boxed shutter that has an integrated laser mirror, mounted at 45 degrees, that deflects the laser beam to an integrated beam dump. For power up to 10 watts. It incorporates magnetic sensors as position indicators to indicate the position of the blade, to verify the status of the shutter (open or close). Horizontal mounting. Life operation of 50 million cycles min. SH-10-PI-BD-10W-V a boxed shutter that has an integrated laser mirror, mounted at 45 degrees, that deflects the laser beam to an integrated beam dump. For power up to 10 watts. It incorporates magnetic sensors as position indicators to indicate the position of the blade, to verify the status of the shutter (open or close). Vertical mounting. Life operation of 2 million cycles min. SH-10-PI-BD-10W-V-L a boxed shutter that has an integrated laser mirror, mounted at 45 degrees, that deflects the laser beam to an integrated beam dump. For power up to 10 watts. It incorporates magnetic sensors as position indicators to indicate the position of the blade, to verify the status of the shutter (open or close). Vertical mounting. Life operation of 50 million cycles min. SH-10-PI-DM the boxed shutter with integrated mirror to deflect a laser beam allows horizontal and vertical mounting. It incorporates magnetic sensors as position indicators to indicate the position of the blade, to verify the status of the shutter (open or close). Life operation of 2 million cycles min. SH-10-PI-DM-L the boxed shutter with integrated mirror to deflect a laser beam allows horizontal and vertical mounting. It incorporates magnetic sensors as position indicators to indicate the position of the blade, to verify the status of the shutter (open or close). Life operation of 50 million cycles min. The SH-10-PI LOW COST laser safety shutter incorporates two magnetic switches (sensors) that are position indicators to indicate the position of the blade to verify the status of the shutter (open or close). When the blade is in the "CLOSE" position one of the magnetic switches is normally closed and the other is normally open. When the blade moves to the "OPEN" position the normally closed switch becomes normally open and the normally open becomes normally closed. A three pin MOLEX connector (P/N 22-03-2031) is used for the output of the position indicator. You can activate the laser safety shutter by applying the appropriate voltage: 5V to the SH-10-5, 12V or 15V to the SH-10-12 and 24V to the SH-10-24. If you opt not to use our drivers, we supply you with schematics to build your own driver. Please click on "CAD DRAWINGS" for details. When ordering a shutter without a driver, please indicate one of the operating voltages: 5V, 12V or 15V, or 24V. The DSH-10 DRIVER operates the SH-10 Laser Safety Shutter. 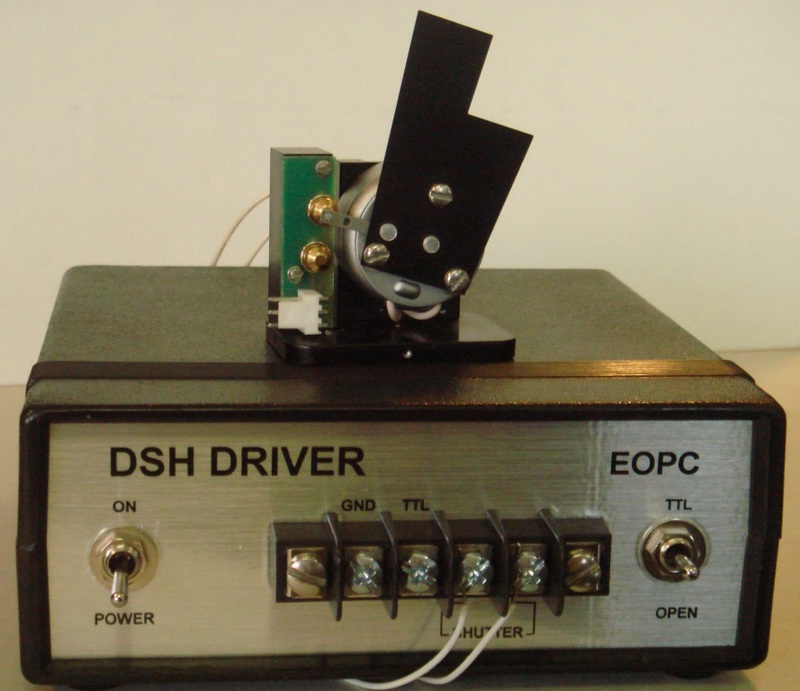 The DSH-10 driver includes a three position control switch. In the "OPEN" position, the shutter is continuously open. In the middle position, the shutter is continuously closed. In the "TTL" position, an external TTL signal controls the shutter. 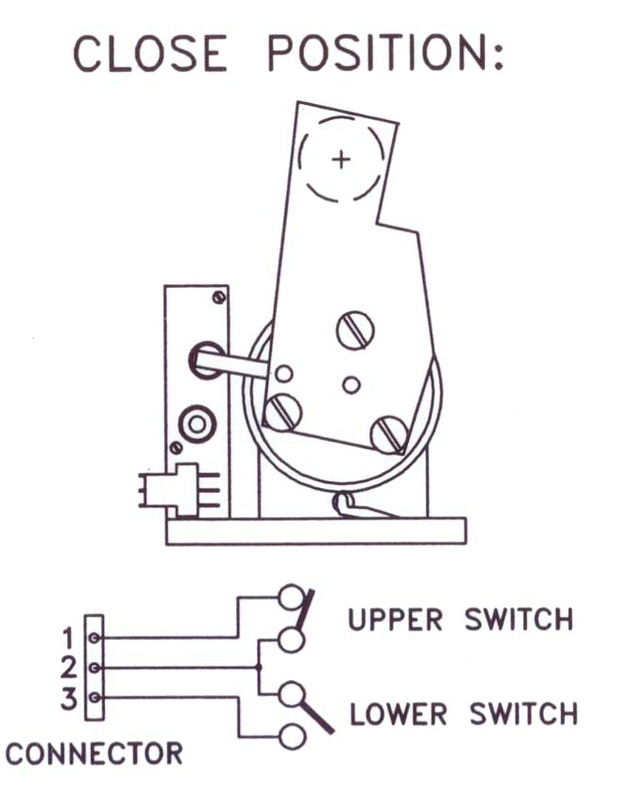 A high or open circuit at the TTL input sets the shutter in the closed position. A low or short to ground at the TTL signal sets the shutter in the open position. The following driver models that enable the user to control the shutter with a TTL signal are available: DSH-10-110 or DSH-10-220, a cased driver 5.3" x 5.3" x 2" operating from a line voltage of 110Vac or 220Vac (please specify DSH-10-110 or DSH-10-220). DSH-10-110/220, a cased driver 5.3" x 5.3" x 2" with a selector switch for operating from a line voltage of 110Vac or 220Vac. DSH-10-110-BNC or DSH-10-220-BNC, a cased driver 5.3" x 5.3" x 2" operating from a line voltage of 110Vac or 220Vac (please specify DSH-10-110 or DSH-10-220) with a BNC connector for TTL input. The DSH-10-5-PC, this is a PC board level driver for the SH-10-5 shutter that needs 5Vdc and 12Vdc (200mA). The DSH-10-TIMER-S, this is a preset timer to open the laser safety shutter for a specific time from the range of 0.1sec to 10 minutes. Used only with the SH-10-24. 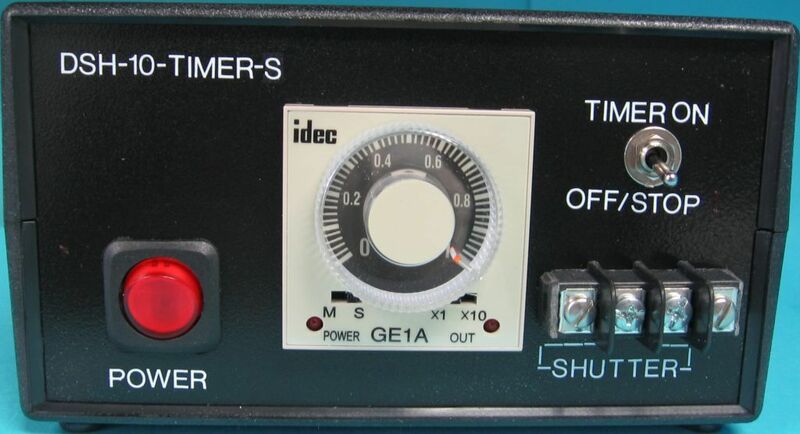 The DSH-10-TIMER-L, this is a preset timer to open the laser safety shutter for a specific time from the range of 0.1min to 10 hours. Used only with the SH-10-24. The DSH-20 driver can drive two SH-10 shutters simultaneously, open and close both shutters at the same time. DSH-20-110 or DSH-20-220. This is a cased driver 5.3" x 5.3" x 2" operating from a line voltage of 110Vac or 220Vac (please specify DSH-20-110 or DSH-20-220). DSH-20-110-BNC or DSH-20-220-BNC, a cased driver 5.3" x 5.3" x 2" operating from a line voltage of 110Vac or 220Vac (please specify DSH-20-110 or DSH-20-220) with a BNC connector for TTL input. DSH-20-110/220, a cased driver 5.3" x 5.3" x 2" with a selector switch for operating from a line voltage of 110Vac or 220Vac. OPERATING VOLTAGE: When ordering without a driver, please indicate one of the operating voltages: 5V, 12V or 15V, or 24V. 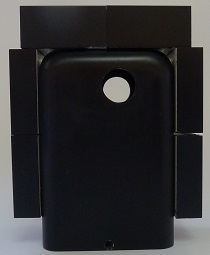 MOUNTED TO AN OPTICAL TABLE: [-MP, M4, M6, 8-32, 1/4-20] 6-32 tapped holes are standard. 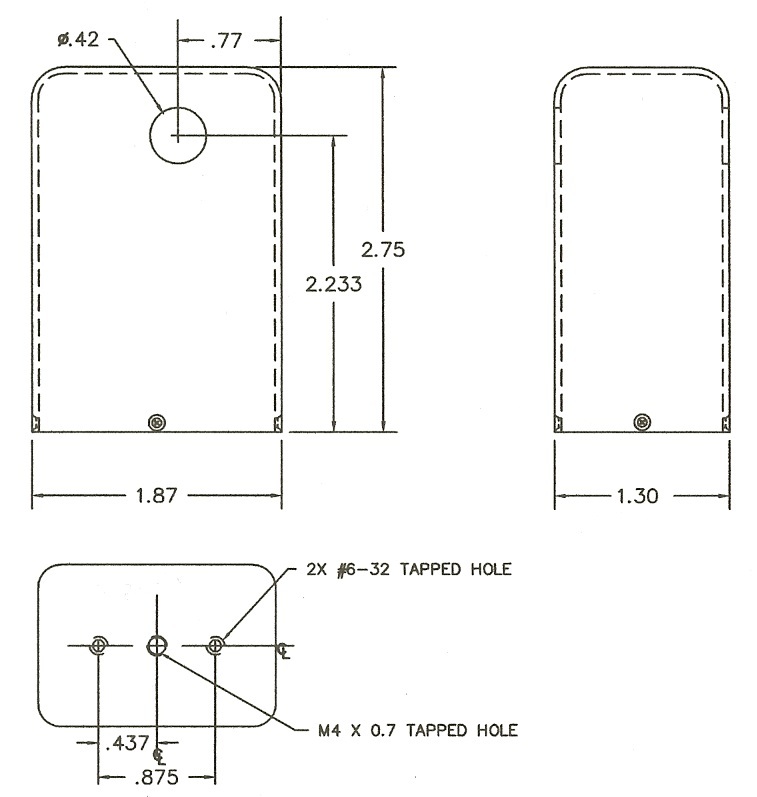 BOXED: [-B, M4, M6, 8-32, 1/4-20] 6-32 tapped holes are standard. POSITION INDICATOR:[-PI] to verify the status of the shutter (open or close). TIMER: [-S,-L] S=a specific time from the range of 0.1 sec to 10 minutes, L=a specific time from the range of 0.1 min to 10 hours. -DSH-10-TIMER-S. Used only with the SH-10-24. -DSH-10-TIMER-L. Used only with the SH-10-24. NOTE: When ordering without a driver, please select one of the operating voltages: 5V, 12V or 15V, or 24V. Example 1: PART NO. SH-10-MP-L-TANT with DSH-10-110-BNC. 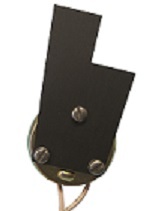 This part number specifies the model SH-10 laser safety shutter, long life (50 million cycles minimum), with a tantalum blade and with mounting holes that fit an optical table and with a cased driver 5.3" x 5.3" x 2" operating from a line voltage of 110Vac with a BNC connector for TTL input. Example 2: PART NO. SH-10-B-12. This part number specifies the model SH-10 laser safety shutter, boxed with a cutout for laser light and 12V operating voltage. Example 3: PART NO. SH-10-PI-B-L-24-REF. This part number specifies the model SH-10-PI laser safety shutter with a position indicator, boxed with a cutout for laser light, 24V operating voltage, with a reflective blade (polished Nickel plating) and long life operation (50 million cycles minimum). Example 4: PART NO. 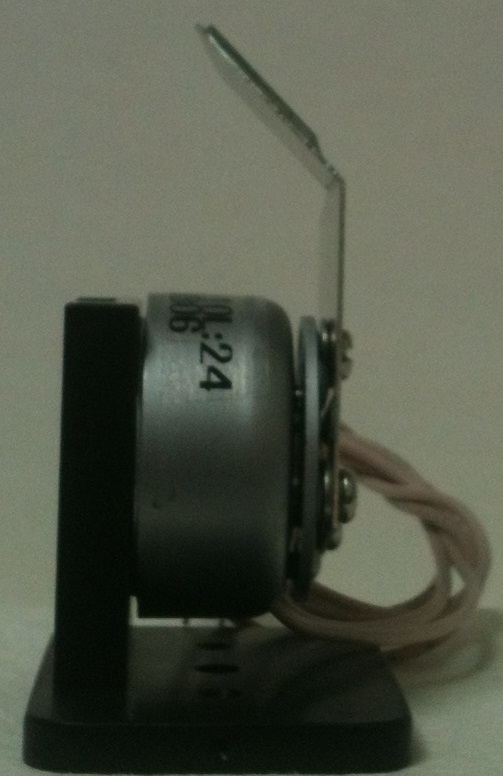 SH-10-BD5W-12-L-PI-mirror for 980nm safety shutter with DSH-10-110-BNC driver. This part number specifies the model SH-10-BD5W, a boxed laser safety shutter with a cutout for laser light, that has an integrated beam dump (heat sink) to withstand power up to 5 watts. Position indicators reveal the position of the mirror. 12V operating voltage and long life operation 50 million cycles minimum. The mirror is coated for the wavelength of 980nm. The driver is a cased driver 5.3" x 5.3" x 2", operating from a line voltage of 110Vac, with a BNC connector for TTL input.